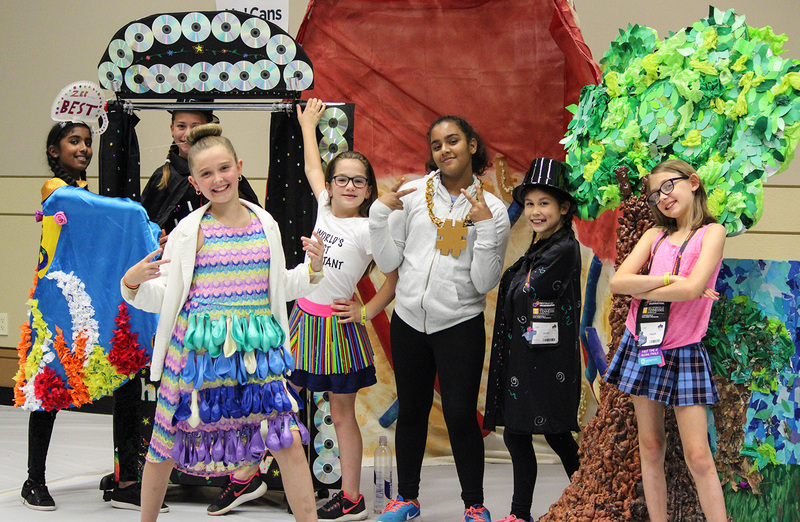 Destination Imagination cannot wait to welcome you to Kansas City, Missouri, America’s Creative Crossroads, where you will experience all that the city has to offer in addition to showcasing a year’s worth of work on our largest tournament stage. Choice is the new cornerstone of Destination Imagination’s Global Finals registration. We are thrilled to announce that all teams will be able to independently select meals and housing, separate from the event registration fee. This change is in response to the overwhelming desire for participants to choose from a wide variety of accommodations to meet each team’s needs and budget. The Global Finals event registration fee will be $5,500 per team and will allow teams to partake in an entirely new tournament experience, meant to better spotlight each qualifying team. In addition to all Team Challenges housed under one roof, all Presentation Sites will be separated for an optimal performance experience, and teams will be a part of a reimagined Prop Storage showcase, where they can exchange ideas directly with their peers. With this new team pricing model, teams will be able to register as many attendees as they would like, encouraging event participation from the friends and family who are so important to the Destination Imagination community. The organization sees this move as an opportunity to include more supporters in what is sure to be an unforgettable Global Finals experience. It also matches the registration process of many of our regional and Affiliate tournaments. In addition to unlimited credentials of any type, the event registration fee grants access to a special, new pin trading zone, educational workshops, collaborative opportunities, and invitations to special events, and guaranteed team and team manager seating at the Welcome Ceremony and Closing Celebration in the state-of-the-art Sprint Center. While meals and housing are not included in the event registration fee, Kansas City offers incredible opportunities to design your perfect week at Global Finals, from a thriving culinary scene to an array of hotel properties. Kansas City boasts many family-friendly attractions that will complement the Global Finals tournament experience. The Nelson-Atkins Museum of Art, Science City, Hallmark’s Kaleidoscope, Legoland, and Sealife Aquarium are just several of the exhibits that groups will be able to experience together. Special “DI-only” promotional deals will also be available for attractions in Kansas City. Please note that all international teams are eligible for a $500 stipend per team if incurring charges for visas and/or passports. Stay tuned for more information, which will be posted to the site in the coming months. Sign up for our Global Finals newsletter at the bottom of the site and you will be notified as more details become available.